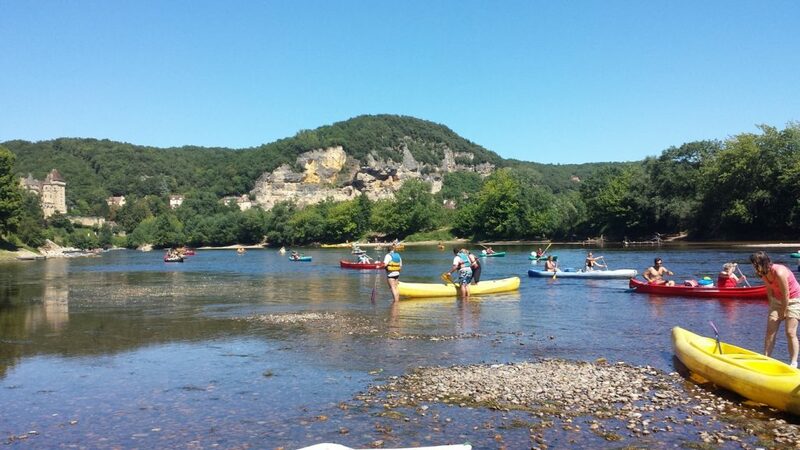 Want to enjoy the ultimate French experience? Looking for an active holiday? Whatever your preference; our region will delight you. A number of options are listed below, though, naturally, this is but a selection. If you have any specific requests or interests, we would be delighted to tell you more about the options available in our beautiful area. That way, we can plan a rough schedule for your holiday together in advance, or make reservations for you. Feel free to let us know your idea of a perfect holiday. Once you have made your reservation, we can email you information or ideas. We are partial to good wines and would be delighted to inform you of the many venues and areas to indulge in unforgettable tastings. 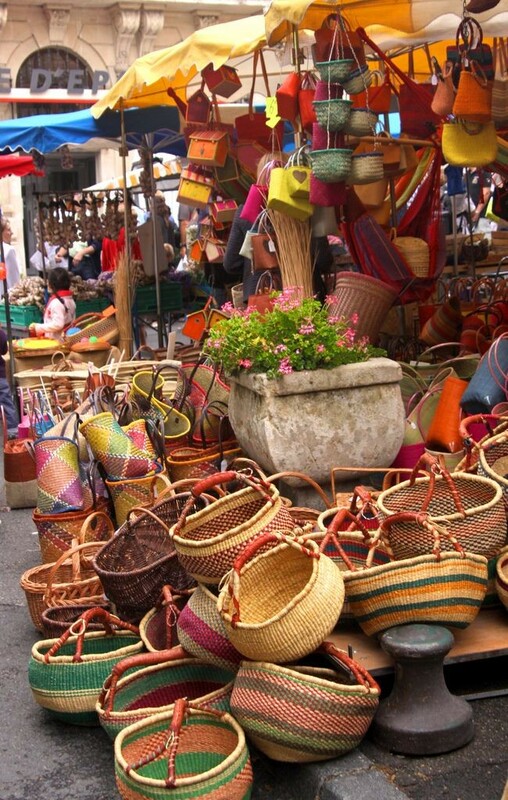 A holiday in Le Périgord Noir is not complete without a visit to a market. 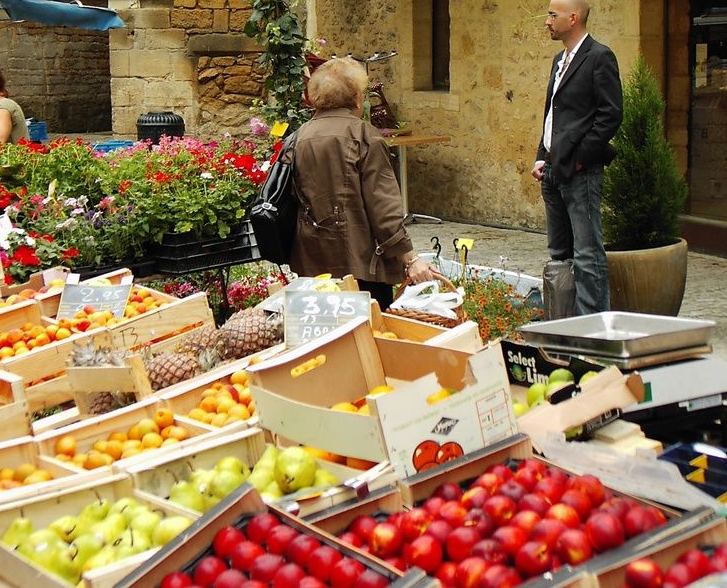 The market in Sarlat-la-Canéda is highly recommended. 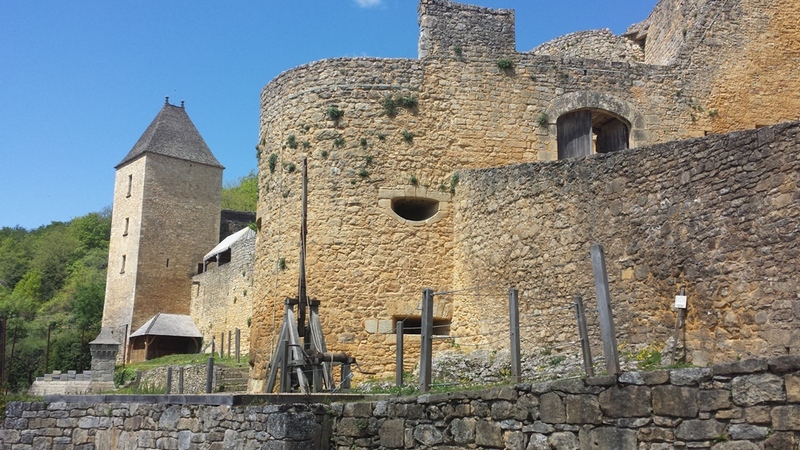 Here you can discover local produce, unique herbs and typical French customs. Not forgetting beautiful furniture and accessories. Every day, there is a fresh produce market, flea market, or vide-greniers to be found somewhere. Be sure to visit one of the farms too. For example, a duck farm to find out more about foie gras, or the eco nut museum where you can learn about the walnut oil from this region. You can even join a truffle hunter and his dog in Saint-Cyprien. Need more ideas? Let us know, we have more than enough! 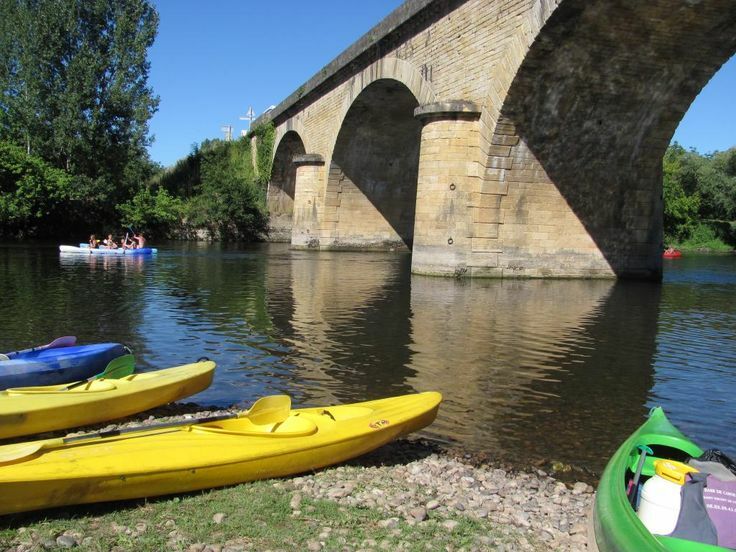 Want to sample local delicacies for the ultimate French experience? Sit down to a meal with the locals at the village square. We have a picnic basket ready for you at our chambres d’hôtes, with plates, cutlery and wine glasses. You can take it to the village centre and eat at the long tables. Savour regional dishes, prepared with love by local residents. The village residents usually provide the music and naturally, you can also purchase your own local dishes and drinks from market stalls. In the high season, you can experience a different village this way every evening. Le Coux, Limeuil, Audrix, Saint-Cyprien and Les Eyzies are good choices. 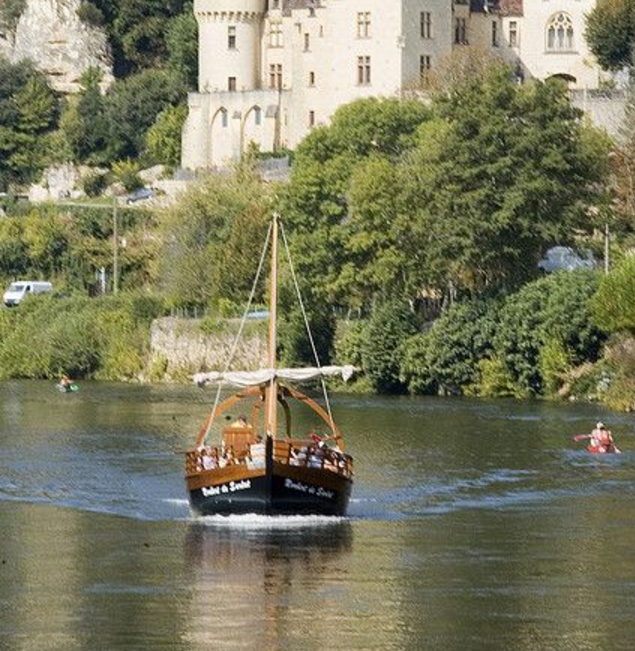 Le Périgord Noir has so much to offer guests. There are countless terraces and restaurants. They really are everywhere. Would you like to know where is best to dine on a particular budget? Or be guaranteed a table in the restaurant of your choice? We would be delighted to arrange your reservation and assist with tips and recommendations, whether you want a simple meal, or to dine in style at a star-rated restaurant.